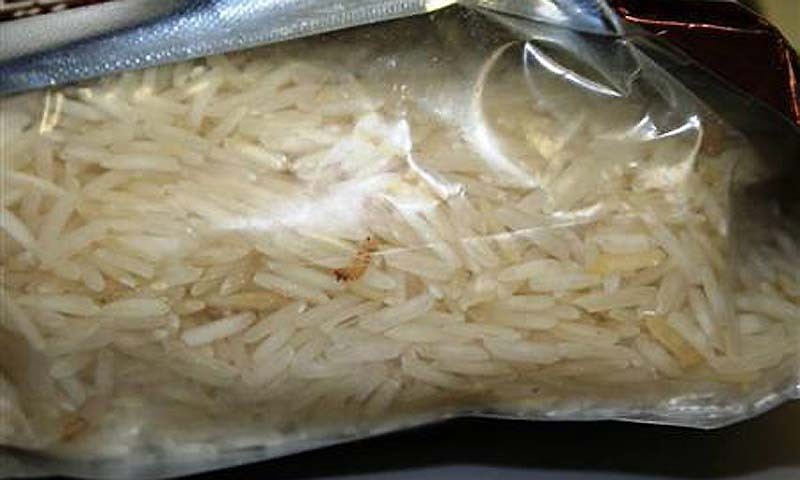 ISLAMABAD: A shipment of rice from Pakistan was refused entry into the United States after US Customs and Border Protection (CBP) agriculture specialists discovered Khapra beetles, an invasive species, in the shipment, the agency said on Wednesday in a release. The sea container with 1,027 bags of rice was flagged by CBP agents on July 26 at the Port of Chicago, and the beetle larvae were identified by the US Department of Agriculture on July 29. The shipment included an original phytosanitary certificate from Pakistan stating that the cargo did not contain the beetle, one of the worst invasive species which feed on grain and cereal products. The beetle can tolerate insecticides and fumigants and can survive without food for long periods. �CBP agriculture specialists continually demonstrate their vigilance in intercepting these extremely destructive pests that could wreak significant damage to our agricultural and economic interests,� said William Ferrara, acting CBP director of field operations in Chicago. The USDA and CBP require that the shipment be re-exported.